BWP Group and Grosvenor Britain & Ireland joined forces to produce a design-led event to bring added style and verve to London’s Belgravia. Designed in SW1, in association with the London Design Festival, was a nine day event created to highlight the aspirational design offerings of retailers on both Pimlico Road and Elizabeth Street. Briefed by Grosvenor Britain & Ireland to raise awareness of what makes retailers on Pimlico Road and Elizabeth Street so unique and appealing, BWP Group conceived Designed in SW1. The event was engineered to allow retailers to show off their artisan skills and passion for design. An array of stores participated, creating a schedule of activities to hang the event around, including interactive workshops, demonstrations, meet the maker sessions and late night shopping. BWP Group was tasked to raise awareness and drive footfall. Using the popular weekly Farmers’ Market on Orange Square as a launchpad, promotional staff engaged with shoppers and distributed stylish event guides brimming with information. 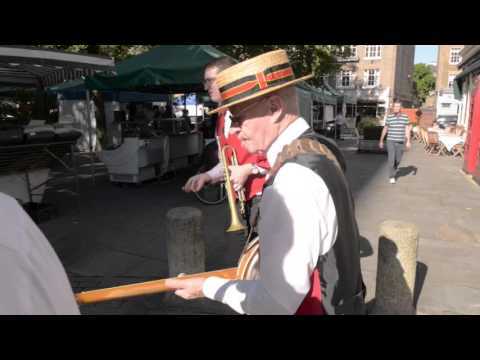 To draw extra attention, a speed painter and swing band were in place throughout the market to delight 2,500 shoppers and create a buzz around the event.